Charles and Constance Schlaegel of Holton celebrated their 50th wedding anniversary on Friday, June 15. 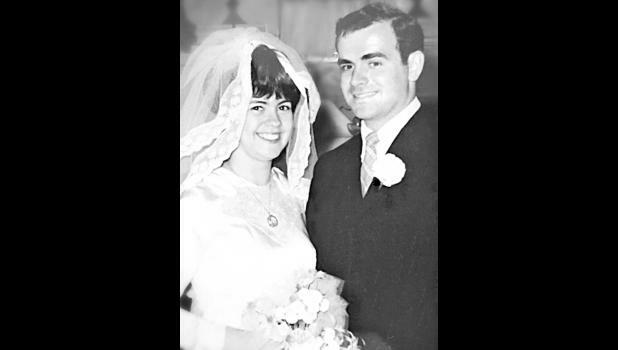 Charles Schlaegel and Constance Elder were married on June 15, 1968, in Lillis. Chuck and Connie have three daughters, Heather Bacon and her husband, Russ, of Holton; Angela DeVader and her husband, Dennis, of Netawaka; and Jamie Raborn and her husband, Scott, of Holton. They also have 10 grandchildren and six (soon to be seven) great-grandchildren. The couple recently celebrated on a family cruise and will gather with extended family and friends at a later date.